Tuesday - Sunday, 9 a.m. - 5 p.m. Closed Mondays, holidays, and 2 weeks in September. 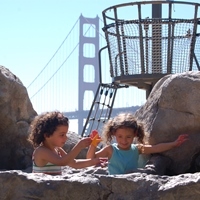 The Bay Area Discovery Museum is designed to ignite creative thinking in children. 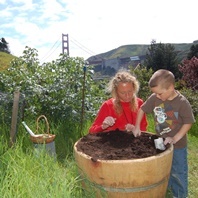 7.5 acres of natural beauty inspires families to engage in a world of possibilities. Framed by the majestic backdrop of the Golden Gate Bridge, the Museum is a space for imaginations to run wild. 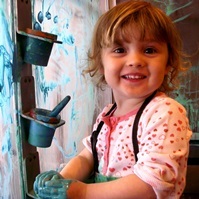 Every curated detail of our exhibits brings creative thinking to life for all stages of childhood. 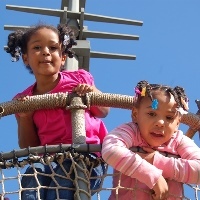 Navigate winding tunnels to develop physical and intellectual risk-taking skills. Feel the rush of cold-water tide pools that surprise and awaken curiosity. Imagine new worlds by transforming into a spider, a ship captain, or a bridge builder. At every turn is a new opportunity to challenge the boundaries of creativity. Follow Bridgeway out of downtown and then take East Road to Fort Baker.